Here is a rare 78 from Argentina, complete with the original slip cover. 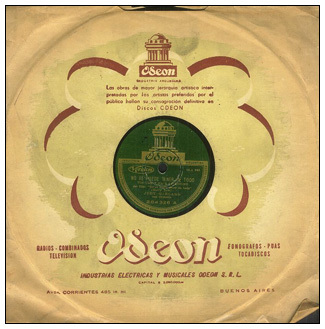 I'm assuming that "Odeon" was the company licensed by Decca to release their records in Argentina if not all of South America. 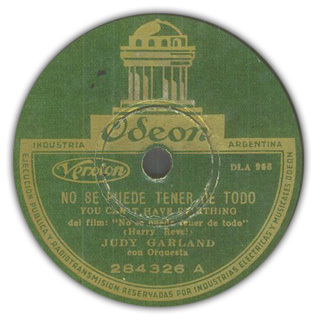 There is not date given, but from the looks of it this record it's probably from the mid-to-late 1940's. During and after World War II, the United States and South America had a very friendly relationship. 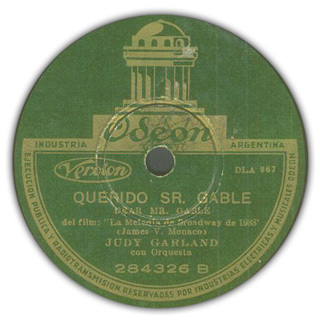 With the European market cut off from the film studios during the war (and record companies like Decca as well), they successfully "courted" South America as an alternative outlet for their product.